Thank God. Now it could be told. Whew. 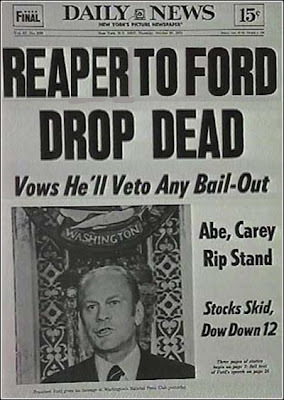 I was wondering what Chevy Chase’s take on this whole death of Gerald Ford thing would be. I mean what would a guy who did an impression of Gerald Ford, 30 years ago have to say about him dying at age 93? 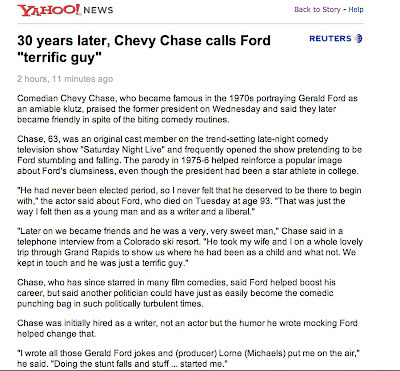 Well, you can all exhale- as it turns out, Chevy Chase had something nice to say about Gerald Ford, calling him a "terrific guy". Stunning. Excellent work. 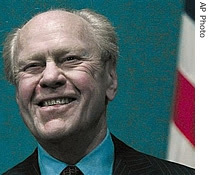 Gerald Ford, RIP. Incidentally, the reaper is going out of 2006 with a bang. Heard it here 1st- had cordial relationship with Chevy Chase.